The plague which broke out in Florence in 1523 forced the painter and his family to seek refuge elsewhere. He found shelter and work with the Camaldolensian nuns of San Pietro at Luco in the Mugello. 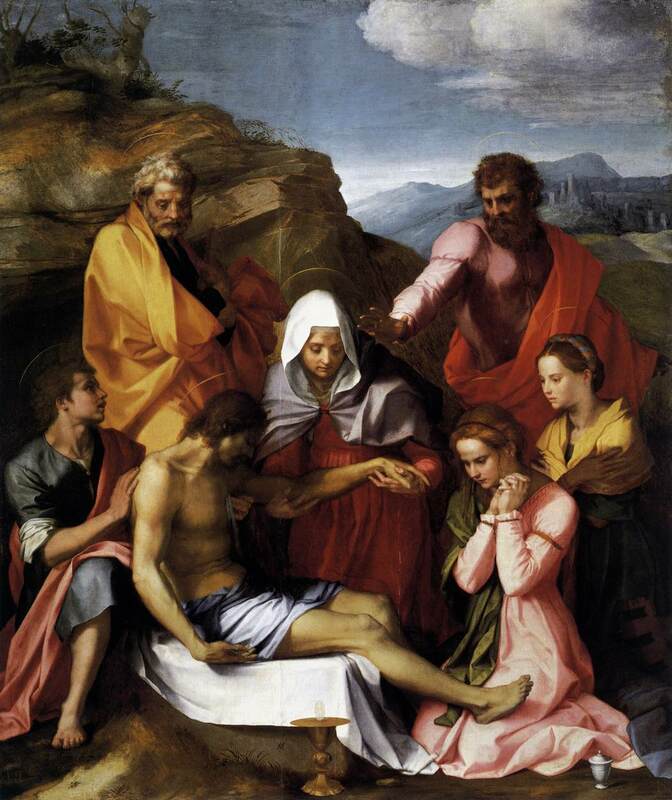 In the quiet of the country surrounded by the attentive sisters, he painted the Pieta for the altar of their church. Кроме Христа и БР, представлены три святых и две святые.